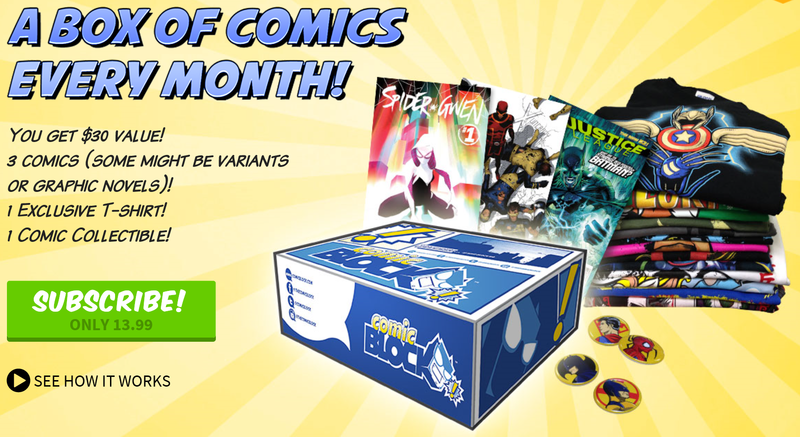 This entry was posted on Sunday, June 7th, 2015 at 11:00 am	and tagged with birchbox, comic block, comic block may, comic block may 2015, Comic Books, Comics, loot crate, mail order boxes, may subscription box, mystery boxes, nerd block, nerd block may, subscription boxes, unbox, unboxing and posted in Comic Books, Unboxing. You can follow any responses to this entry through the RSS 2.0 feed. 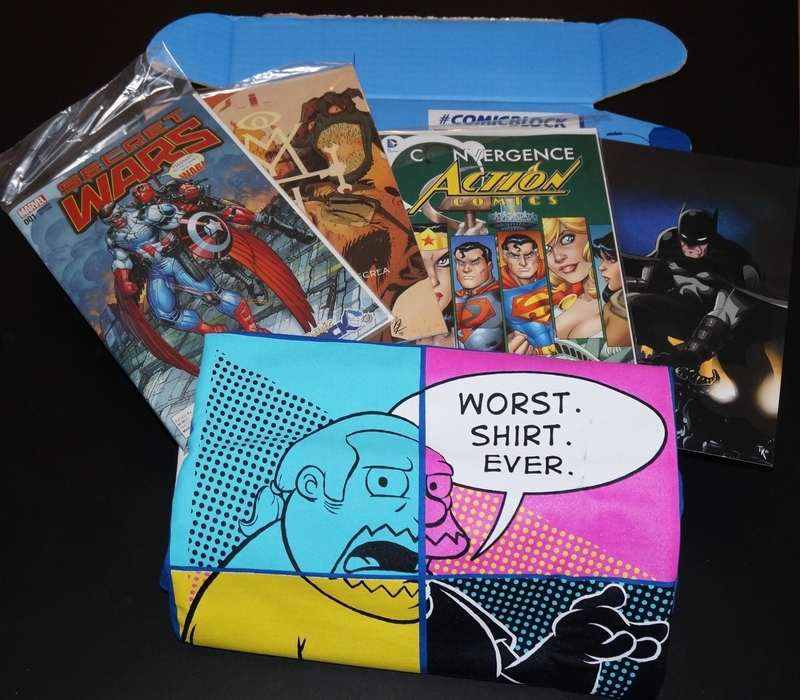 I saw your unboxing and decided to try Comic Block for myself. I got Loot Crate as a gift but found that I don’t like getting random toys I don’t know what to do with. Comics and a t-shirt seem more my style. I eagerly await my first order! Awesome! I had a Loot Crate subscription too and felt the exact same way. I mean liked getting them alot, but outside of the Pop Vinyls, the comic books were the thing I liked getting in them the most anyway. I think the comic block is going to be more my style.